THC cartridges made getting high while visiting family a breeze this holiday season. They look just like e-cigs and best of all they won’t leave a smell on you. So there was no need to Febreze yourself on the way back from that “walk” with your cousins. The concentrated cannabinoid content and the consumption method make cartridges perfect for anyone in need of discreet and quick relief. If you’re not a fan of waiting to find out whether you’ll be in the 9th dimension or nowhere with edibles, cartridges are the move for you. Their convenience has made them one of the most popular cannabis products over the last few years and as a result, the market is now saturated with tons of brands to choose from. How is a consumer supposed to decide? You won’t know what you’re getting until you buy it, try it and have it lab tested at a reliable facility. If you’re not about that life, here are the best THC cartridges we came across this year. Melting Point Extracts or MPX makes some of the finest cannabis products out of Nevada and Arizona. This is another one with flavor to match its name. On the inhale you get the sour lemon and on the exhale, the taste of baked goods lingers on your tongue from the Dough Dawg (Animal Cookies x Stardawg) in the lineage. The effects were euphoric and energetic, providing enough energy to walk around and socialize for a couple of hours. 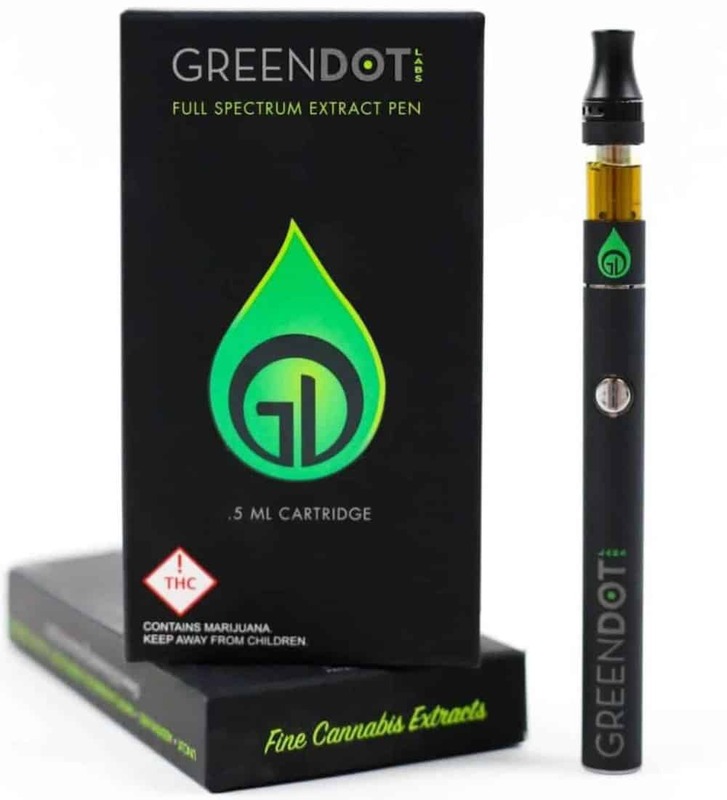 Green Dot Labs is an extract focused cannabis-brand based out of Colorado. Sticking to their belief of “Quality In, Quality Out,” they make some of the highest quality extracts in every consistency a connoisseur could ask for. 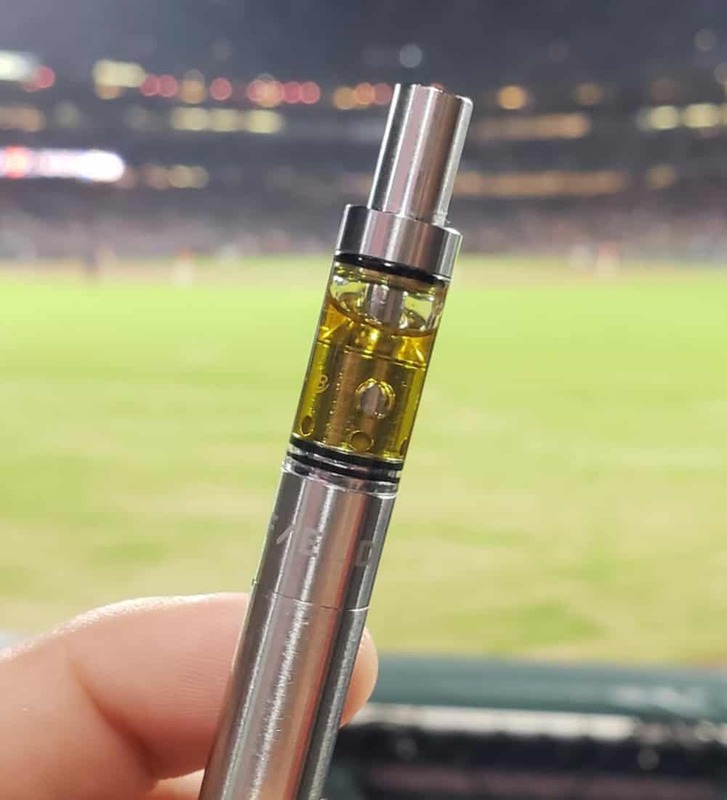 Their Full Spectrum Extract brings the familiar flavors of their concentrate line into a portable cartridge for on-the-go enjoyment without any extra baggage. That means no additives. Exclusive Melts is the winner of several High Times Cannabis Cup awards, including TWO first place victories at the last World Cup. They use strains and flowers from some of the world’s most renowned breeders, including DNA Genetics. The flavor was prominent and mouth-watering. It was a smooth and tasty hit down to the last drop and there was enough potency in the high terpene extract for effects to settle in after a few pulls. With a flavor that enjoyable and no distillates or additives, it didn’t take long for the cartridge to empty out. Nexus Live Resin Sauce Pens were one of the first to bring natural terpenes and potency to the California market. 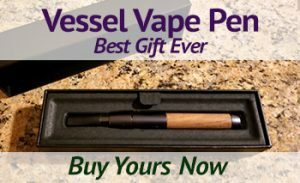 Live resin lovers looking for something more convenient than a messy wax pen have found the answer. It tastes like the flower smells. Not like some added flavoring. 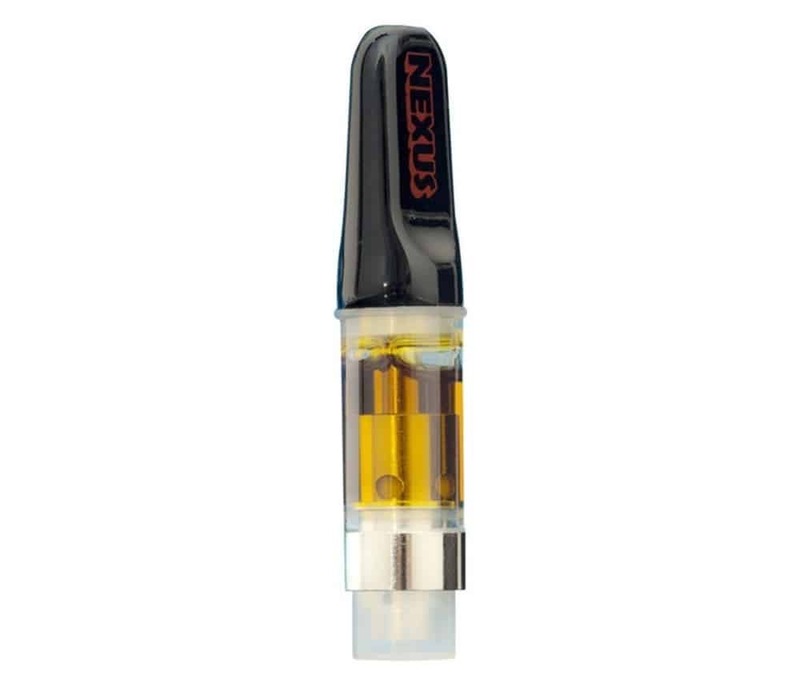 Nexus claims there is no additives and no distillate. You get a large cloud with every pull and strong effects follow. One of the smoothest, cleanest hitting cartridges on the market. The OG has that gassy aroma you usually only find in the actual OG Kush flower or live resin. Like the rest of the live resin sauce or high terpene extract carts on this list, you won’t be able to keep it for long. Even though there are tons of vape pen cartridges on the market it’s hard to find ones that shine. 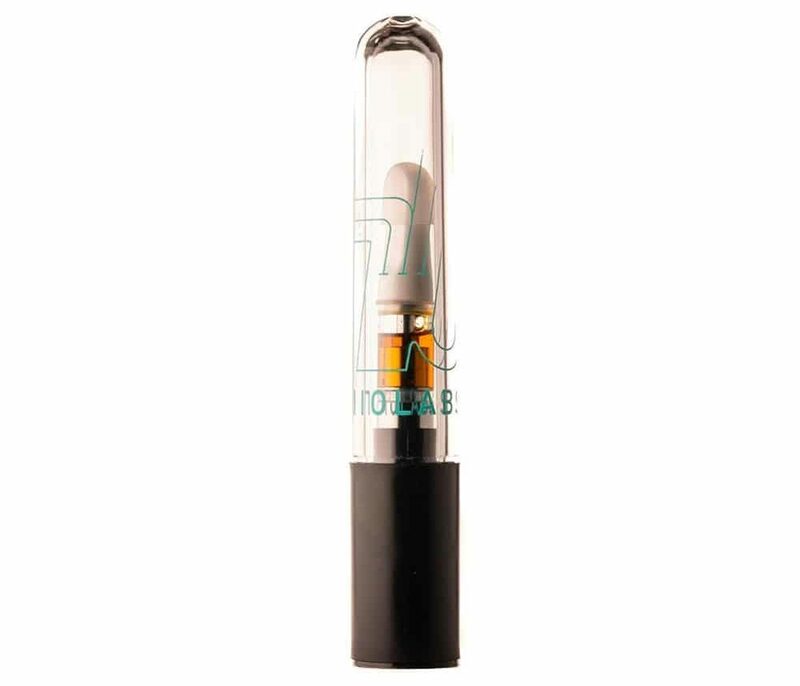 The best THC cartridges function properly from start to finish. They’re also filled with clean, quality medicine that hasn’t been tampered with. 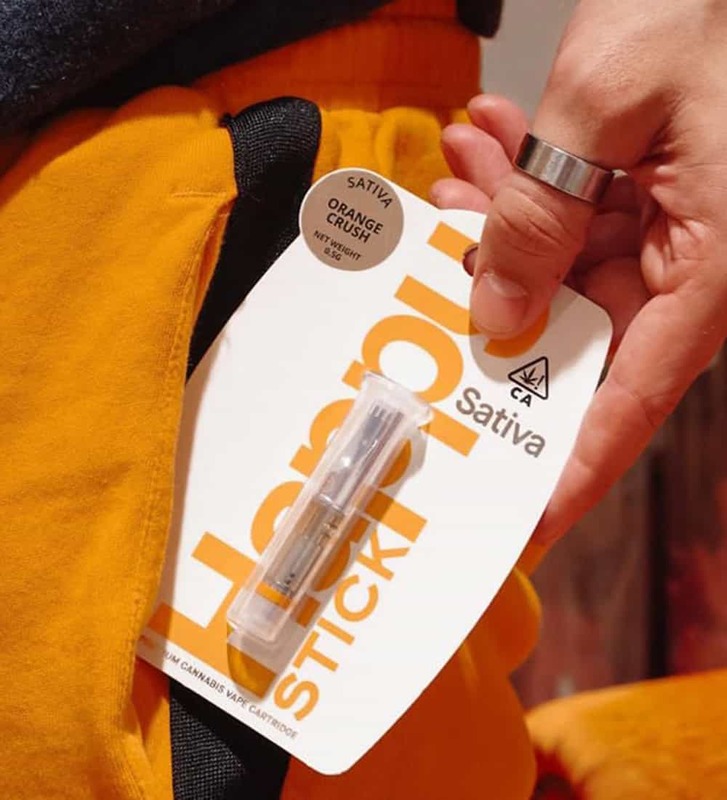 Happy Sticks are an up and coming cannabis brand based in California with a focus on cartridges. They’ve won a High Times Cannabis Cup and recently took 5th and 7th in the cartridges category with their new line of sauce pens at the Emerald Cup competition. Their Orange Crush is a great flavor that matches the name. When vaporizing, you can expect smooth vapor going in and out. In fact, it can take multiple hits back-to-back with minimal irritation. The flavors are tasty and usually unlike cannabis. If you prefer the taste of cannabis-derived terpenes, their La Jolla Diesel sauce pen has a taste unique to weed. It never takes long for the potency to settle in. One to two large hits should have you cruising for a while. Field Extracts pheno hunts and cultivates the flowers they use for their hash and cartridges in-house in California. 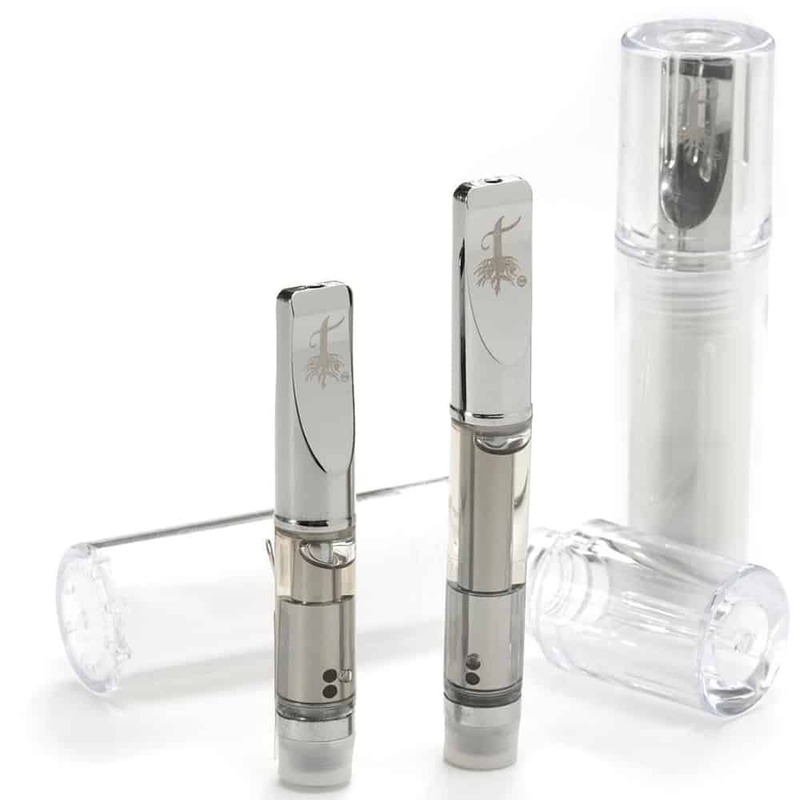 Their cartridges are a mixture of distillate and high terpene extracts. The ratio of distillate to sauce varies by the viscosity of their high terpene extracts. Taking a big pull from their Sour Sunset sauce cartridge was a slap of gas from the sour diesel and sunset sherbet with some earthy undertones from the Cookies lineage. The potency crept after three moderate hits. It was a wonderful mix of being couch locked and euphoria. HoneyVape is based out of California. 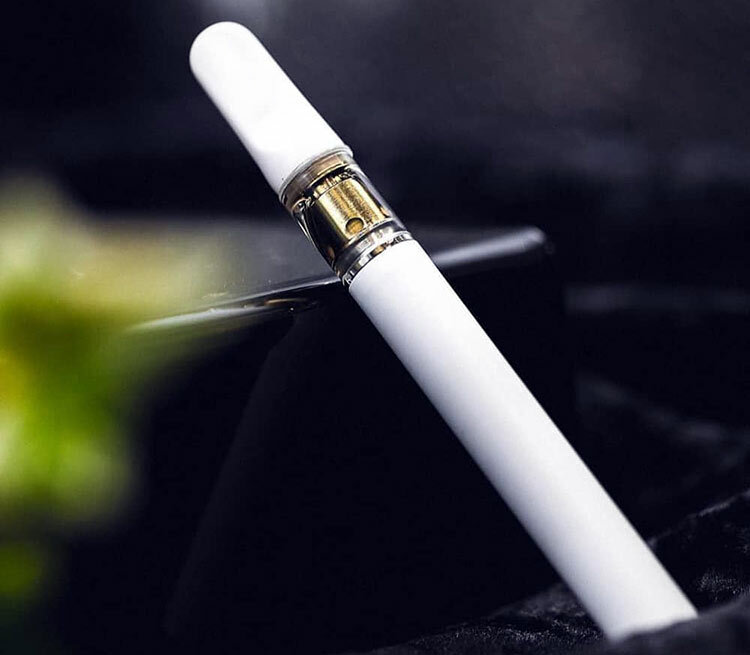 They were one of the first brands to put distillate in cartridges and they’ve maintained a quality product and excellent customer service over the years. Their Girl Scout Cookies cartridge smokes smoothly with earthy notes and a hint of sweetness. Each pull is packed with potency, it only takes a few hits to blast off. Each cartridge is filled with clean distillates and tasty terpenes. There is no hint of additives or residuals. Stiiizy is attempting to influence, inspire and innovate the cannabis industry. They quickly made a name for themselves, racking up tons of positive reviews, a strong following and an award at the High Times So Cal Harvest Cup. The stealthiest and most convenient cartridge on the market. You just plug in a pod of THC distillate and inhale. Repeat until the cartridge is empty, toss, and replace. You’ll never experience any burning. When taking a huge pull, it chucked clouds, but there was some irritation. Tree Base Klear is making unique flavored cartridges that hit hard but taste smooth. They’re made with clean distillates for high potency with natural terpenes that have flavors and aroma that come from cannabis plants. Tree Base Klear collaborated with Str8 Organics to bring us their Str8 Lemonade cartridge. On the first inhale, you can tell where the name comes from. It starts with a piney and sweet citrus that’ll leave your mouth watering for more. On the exhale, there were gassier notes. On top of great flavors, the distillate provides potency on a consistent basis. It only takes one or two large pulls to get to where you need to be. The best THC cartridge will depend on your preference. If you’re looking for potency, go with a distillate cart. Flavor chasing connoisseurs are better off with sauce pens and full spectrum extracts. The Best THC Cartridges of 2018 was posted on High Times. Everyone of those are trash. Dirty with pesticides and cut. The clear one I wouldnt even bother with it’s cut so much it’s stupid. Thanks for your comment. Everyone should be aware of pesticides and whether or not their cartridge/oil is full of crap. It’s really important to know what you’re putting in your body. We’re posting your comment, because we believe your point is very important. Do you have any research to back up your claim that the cartridges listed are inferior? We would love to read it. Otherwise, it’s unfair for you to come here and make unsubstantiated claims. Please support your accusations. Hey there. I have a question. I have recently switched to live resin vapes instead of regular carts. Does anyone have an opinion about “ZEN” brand I like them personally, but I’m wondering if there are way better ones out there and how ZEN compares to the rest. Thank you! !